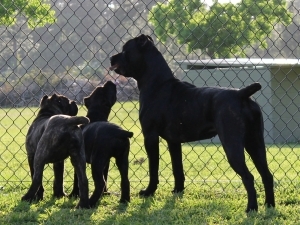 Thanks for checking out Numenor Kennels, located in central Florida. 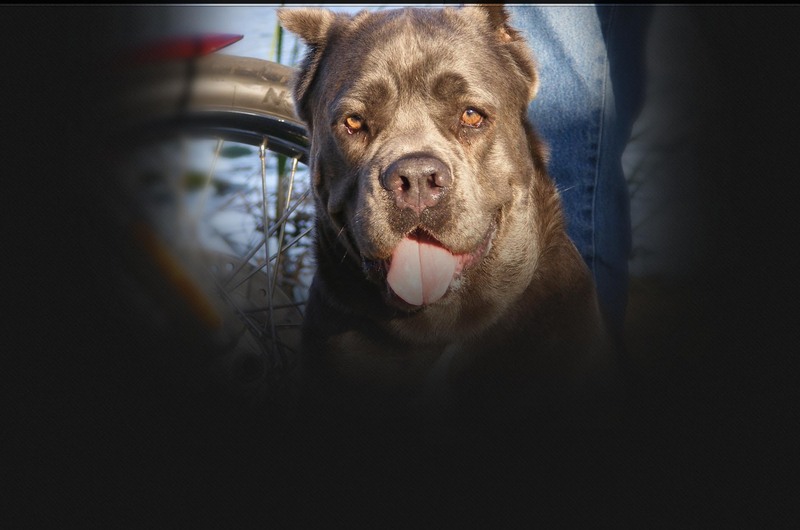 This website is dedicated to our amazing Cane Corsos and the joy and happiness they bring into our world. These dogs are very special to us and we consider them an integral part of our family. The love we give them is returned many times over by their loyalty and devotion. I hope we can share a little bit of the magic these special creatures bring with them. It's not easy explaining in just words and pictures the powerful presence these dogs possess. You really have to meet one to fully appreciate the breed. 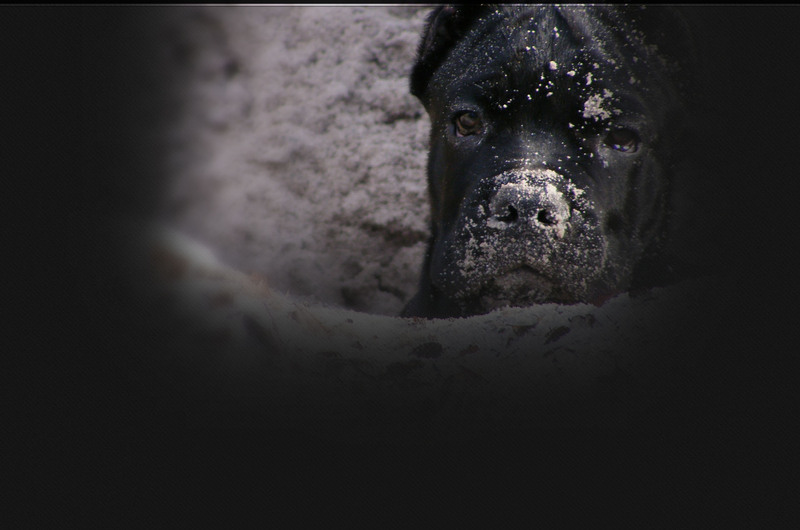 Cane Corsos have been around for a long time but are not well known outside of their native Italy. Some say you can trace the breed back nearly two thousand years, to the Romans when they employed them for work, protection, warfare, and many other functions. Although the breed came close to extinction after the Second World War, a handful of Italians maintained the bloodline and today they are once again being discovered for the incredible dogs they are. Corsos were bred to work and with the proper training they can perform many different tasks. They are very intelligent but can be stubborn at times. 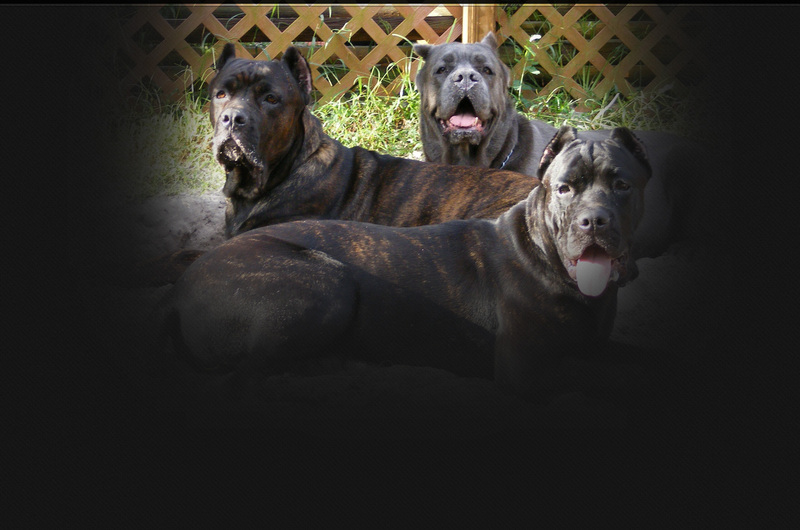 After all, they are mastiffs. That is why it is important for anyone thinking of owning one to understand the nature of the breed and be sure they are ready for the commitment they are about to make. Instincts bred into a dog over the centuries are hard to change and if you’re not the type of person that can exert your will when required, you might be better suited for another breed of dog. But for those up to the challenge, the Corso is well worth it. 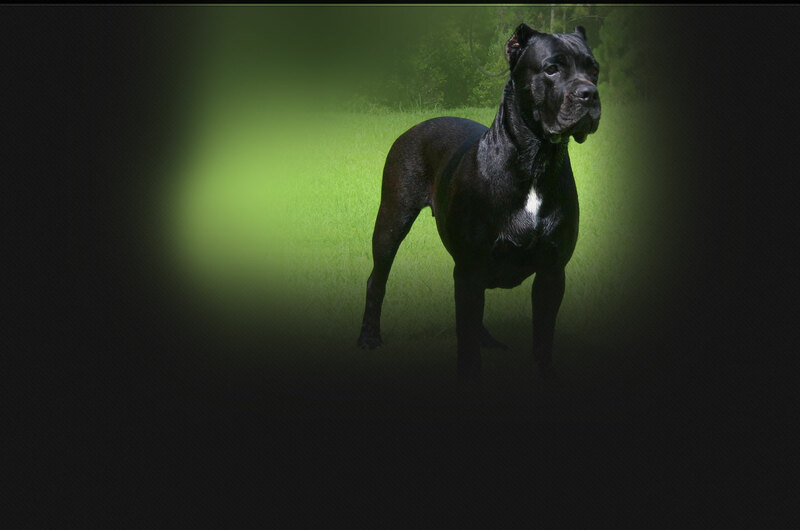 When provided with the proper training, socialization, and love, the Cane Corso is all the dog you could ever want – and then some. 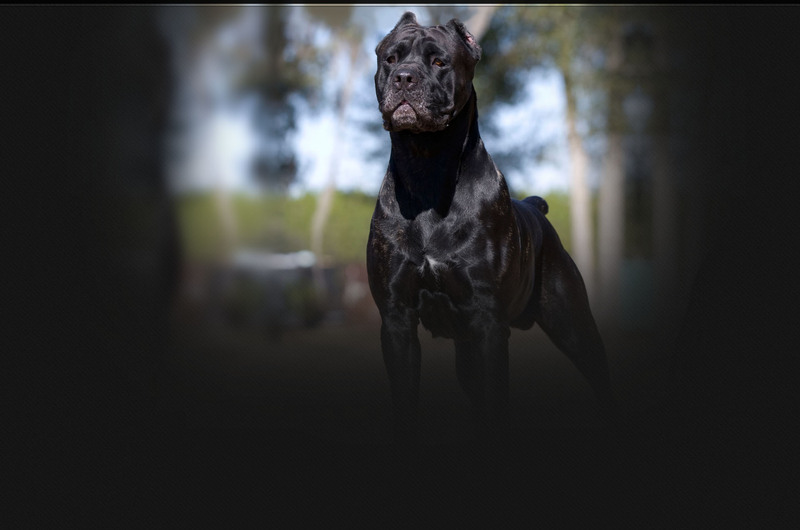 If you are seriously interested in the breed, we hope you take time to explore the links we’ve provided so you can become more familiar with the Cane Corso. The history of the breed is a good read and gives you some perspective on where this breed comes from. But words and pictures alone won’t give you the full picture. You just have to meet one. Maria and I strongly encourage everyone to seek out the dogs through local breeders, dog shows, obedience trials, or any other event you might find Corsos. 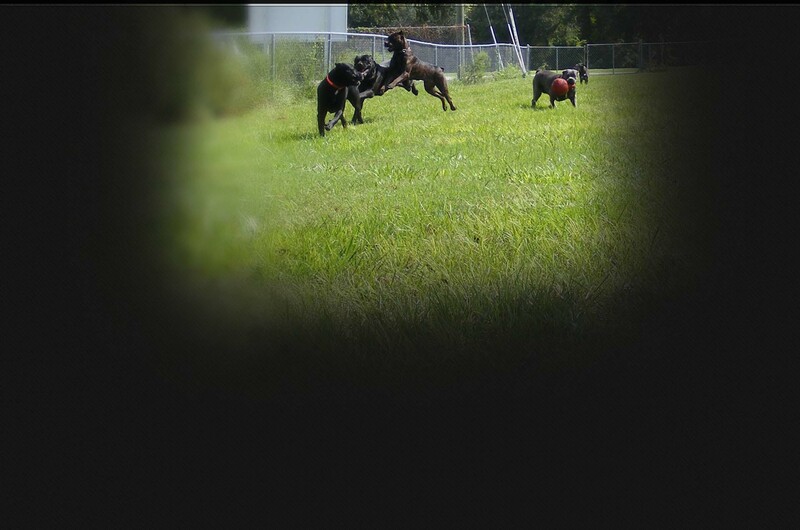 Only after interacting with the dogs will you begin to understand what you’re getting into. Of course, it’s not till you own one that you’ll really get to know what a Corso is all about. We hope you enjoy our website. We are very proud of the line of Corsos we have produced over the years and maybe someday we will have the pleasure of introducing you to our four-legged family. Until then, enjoy your visit.